Proudly serving San Antonio and the Randolph Metrocom area for over 30 years. Our mission is to serve you to the best of our abilities, always with honesty and integrity. We have lived in and around the Randolph AFB community since 1980, and it is our pleasure to assist you with all of your bookkeeping and tax preparation needs. I have worked with tax preparation and bookkeeping since 1976. 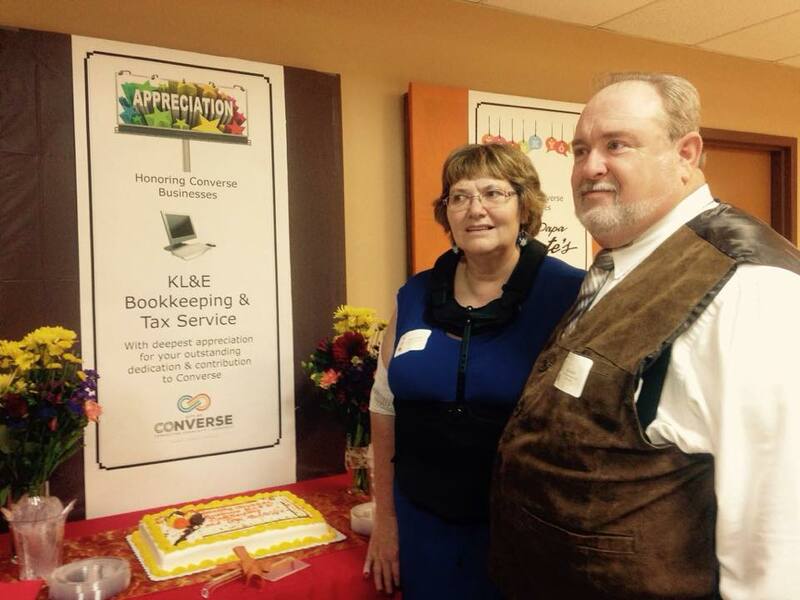 KL&E Bookkeeping and Tax Service opened in June 1981, after I separated from the United States Air Force. I specialize in small business accounting and both business and personal income taxes. I have been happily married to Kandy since 1974. We have 6 children, 16 grandchildren, and 1 great-grandchild. I am an active member of Marion Baptist Church in Marion, Texas. I enlisted in the USAF November 1972 and separated with an Honorable Discharge in May 1981. While in the service, I worked as a Bomb Loader-Munitions until 1976 and then in Management and Chapel Fund Accounting until discharge. In 1982 I started serving on the street commission for the City of Converse and then was elected to the City Council in 1984. As a Council Member I worked as the Liaison for the Fire & EMS Commission, Street Commission and Parks Commission. After getting off of the City Council, I continued to serve on the Planning and Zoning Commission until 1994. I am also a member of Marion Baptist Church and currently am the full time Organist. I have worked in the accounting and tax business since 1981. Currently, I am part-time at the office, coming in mostly during Tax Season. Once my children were grown, I returned to school and attained a Bachelors Degree in Business Administration. My experience includes Small Business Accounting, Construction Accounting, Non-Profit Accounting, and Radio Trafficking. I have been married for 13 years and have 4 children. I am a member of New Life Baptist Church in Converse, Texas. I have been working in the accounting and tax business since 2013. My previous experience includes working in customer service both for the State of Texas and private companies.